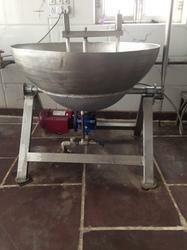 We are a leading Manufacturer of paneer kettle, automatic khoya kettle, rasgulla kettle, ghee kettle and s s tiltting kettle from Meerut, India. We are widely appreciated for making Automatic Khoya Machine. 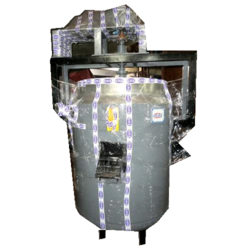 In this Design , any type of boilers may used as wood, diesel or LPG fired. Automatic Khoya Machine ensures convenient and hassle free operations. Keeping in mind divergent demands of the clients. The Automatic Khoya Making Machines are available in two models as stationary and tilting type for fast production. These are hygiene & GMP model having 20 to 100 Liters. The kattles are as flat and concaved pan type ( Depend upon type of the work). 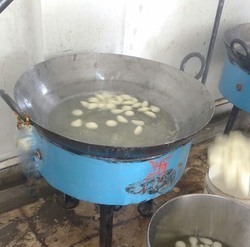 The Milk Cake Khoa ( White Milk Cake) and milk boiling is done in these kettles. The Khoa is prepared as fast as 20 Ltr of milk within 20 minutes in 6 kg of teak wood. No heat to the surroundings and operators. Only one operator is required in three sets of kettles. Porable sets, may be run with diesel, wood or LPG Fired Steam boilers. Efficient performance (70 % Less fuel than conventional wood/ coal/ Diesel Bhati. For meeting the demands and requirements of Customers, we provide RASGULLA MAKING KETTLE. All our products are available in different sizes, shapes and models at most competitive prices to suit the requirements of customers. In addition to this, we manufactures all our kettles as per the specifications detailed down by the customers. We are engaged in supplying extensive range of high qualitySteam Kettle Ghee to our valuable customers. These ghee boilers are used for boiling ghee. 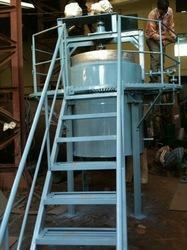 These ghee kettle are widely used in various industries bfor food processing applications. High quality raw materials are obtained at the time of manufacturing these items at our infrastructural unit. We believe in employing advanced machinery to ensure quality and reliability. Our Team strives hard to complete all Order on time.